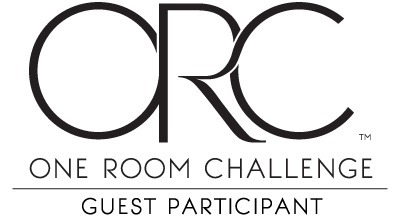 I’m so excited to be participating in the One Room Challenge again this Spring! 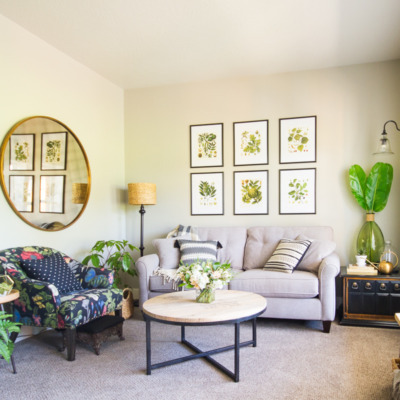 For anyone not in the know, the One Room Challenge is a semiannual event where featured designers and guest participants from all over the internet tackle their own, single room renovations over the span of six weeks. 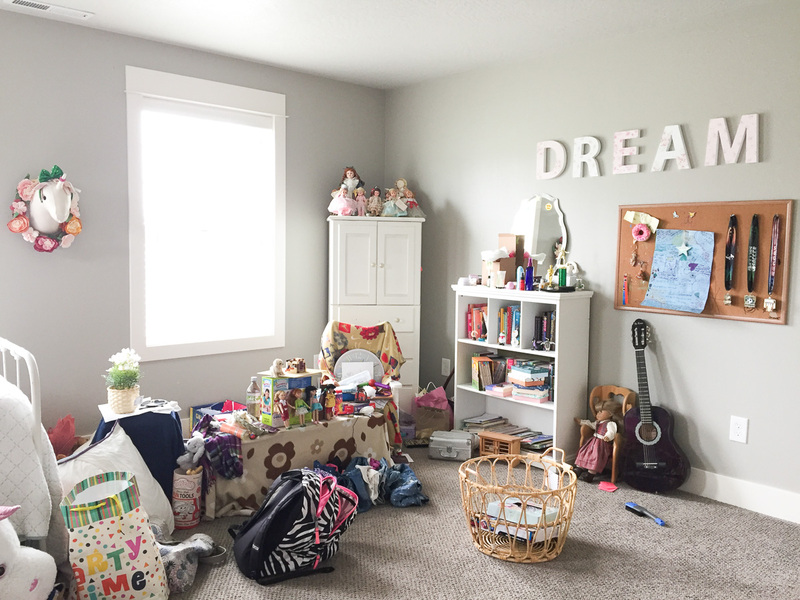 If you’ve been a Lulu the Baker reader for a little while, you might remember that I’ve made over our living room and our oldest daughter’s bedroom for past One Room Challenge seasons. I love this event because room makeovers are fun in general and this one has a very specific deadline, which is so helpful with big projects. 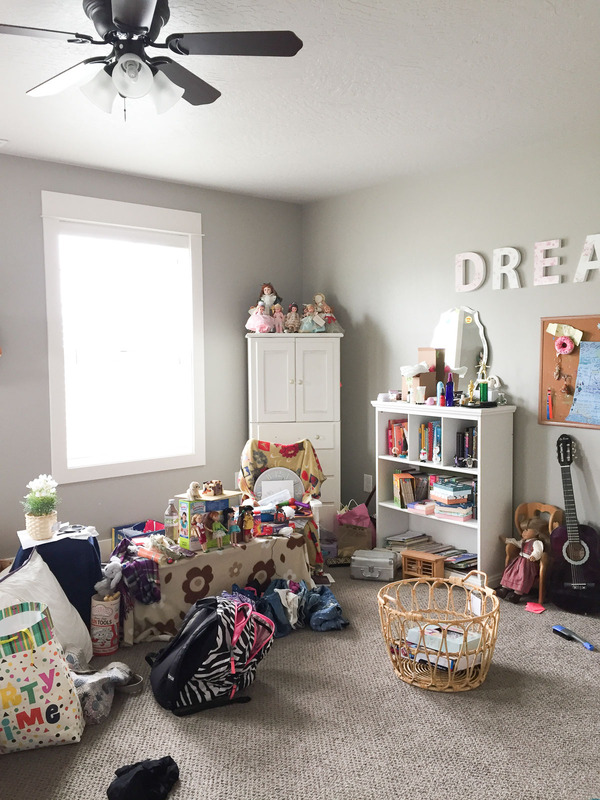 And it’s really fun to see the progress that hundreds of people make on their rooms over the course of six weeks. 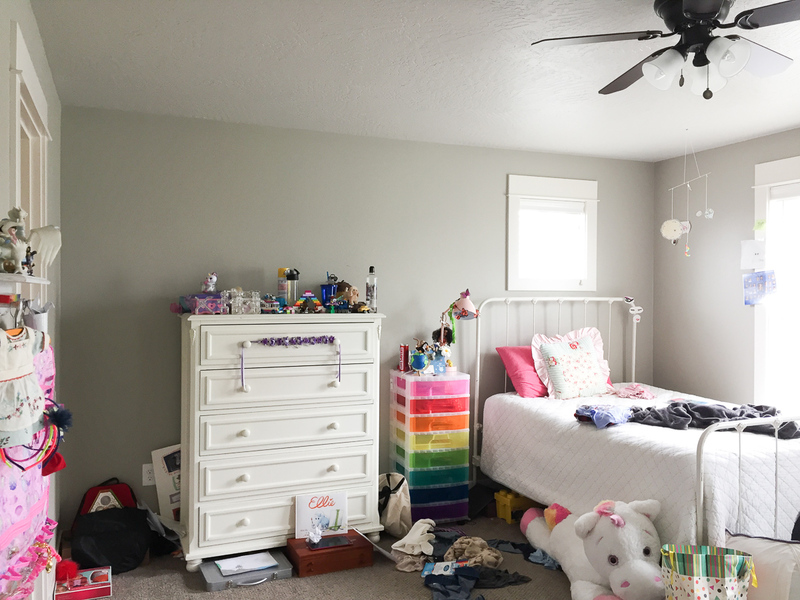 The room I’ll be working on for the Spring 2019 One Room Challenge is our other daughter’s bedroom. I’m pretty sure after I show you pictures, you won’t need any explanation as to why I chose this room. The bed. It’s an actual, bona fide antique, and happens to be super stylish. The unicorn bust hanging on the wall in picture 1. 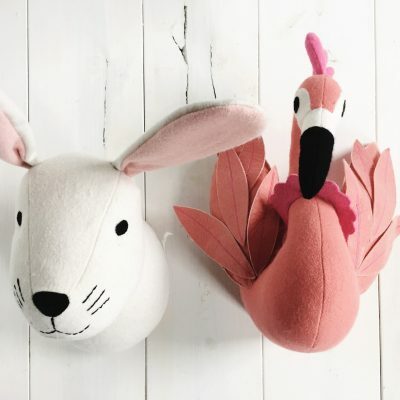 She actually also has a rabbit and a pink flamingo that match, but they’re currently buried under so much clutter. The pink desk lamp in picture 2. Possibly the mirror propped up on top of the book case in picture 1. It’s actually really cute; let’s hope that emoji sticker comes off! That’s it! Everything else is going! The bookcase is just too small, and because it is at least a decade old, they don’t make it anymore. We’re getting two new bookcases that match instead. 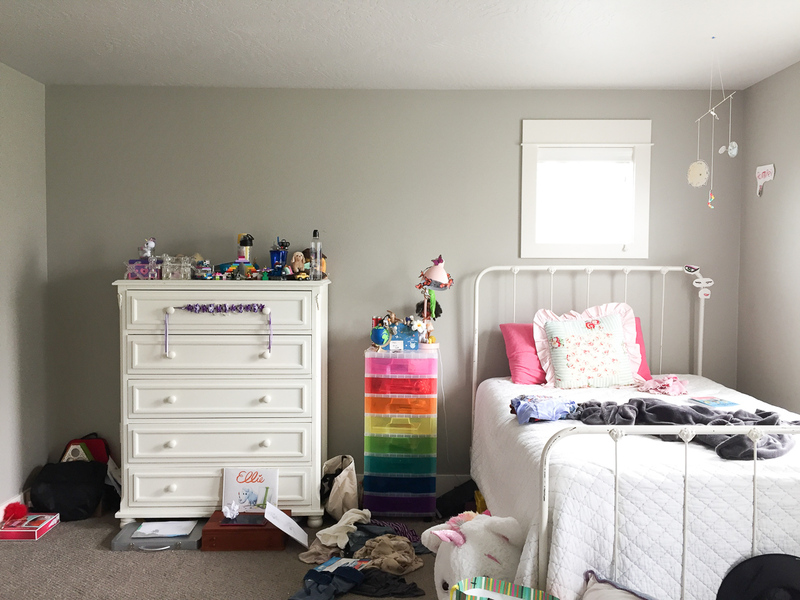 The dresser and tiny corner wardrobe are fine, but neither is as user friendly as we’d like. 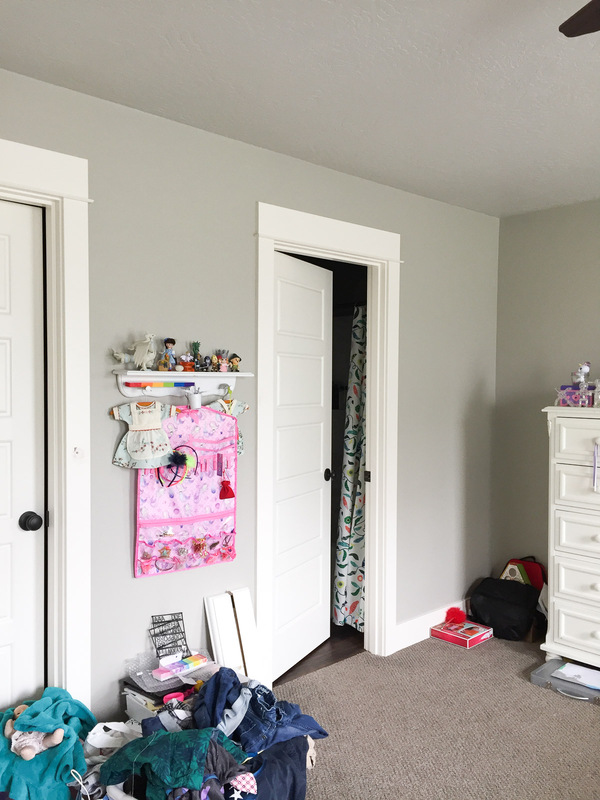 We’re getting a shorter, broader dresser that hopefully makes more sense in a child’s bedroom. She’s been begging for a desk for years, and we have a cute one already ordered. We’d also like to give her a reading nook. We’ll see!! Easy peasy, right?! Check back next week to see how much progress we’ve made on our list. Hopefully the room will be nice and clean at least. In the meantime, you can check out the Spring 2019 ORC featured designers (always so fun! ), as well as hundreds of guest participants (like me). Thanks to Linda of Calling It Home and Better Homes & Gardens for putting this fun event together. See you next Thursday! Thank you, Coco! We have a few more pieces to figure out, but we’re really excited about making this room cute and livable! I’m fully committed to following every step of this makeover (you hooked me in with “unicorn, rabbit, and pink flamingo bust”). Looks like it’s gonna be so much fun. Good luck! 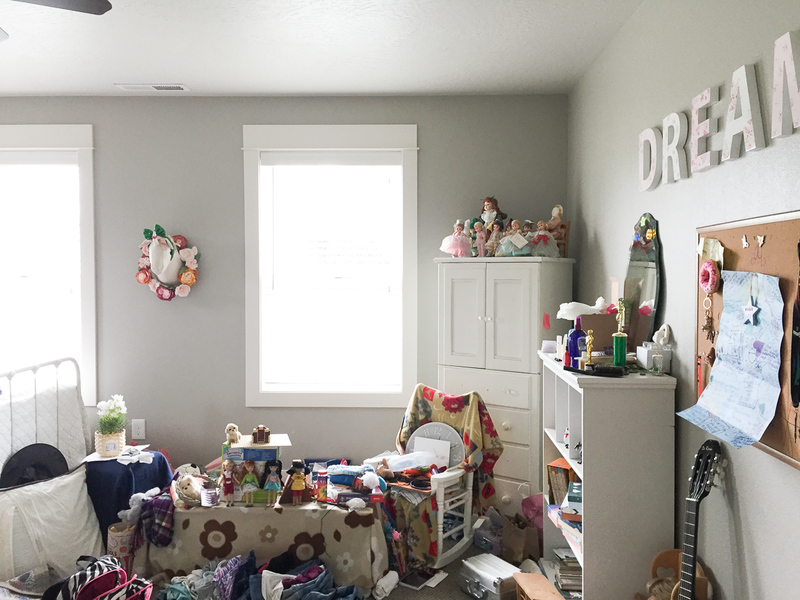 We are trying to use lots of the cute things we already have as a foundation for this room. 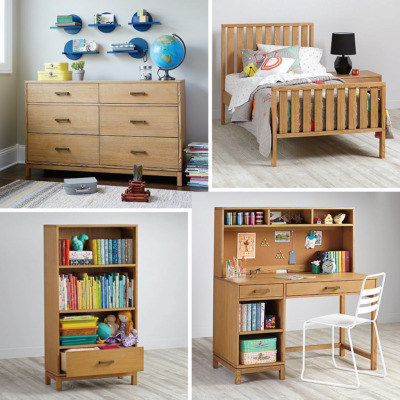 I’m excited to see those things finally look good in a cute, thoughtfully put together room! Somehow they’re the worst, lol! We’re still working on the cleaning step.